Except for Cosmic Spacehead, everything here was just $1 each (Spacehead was $5). 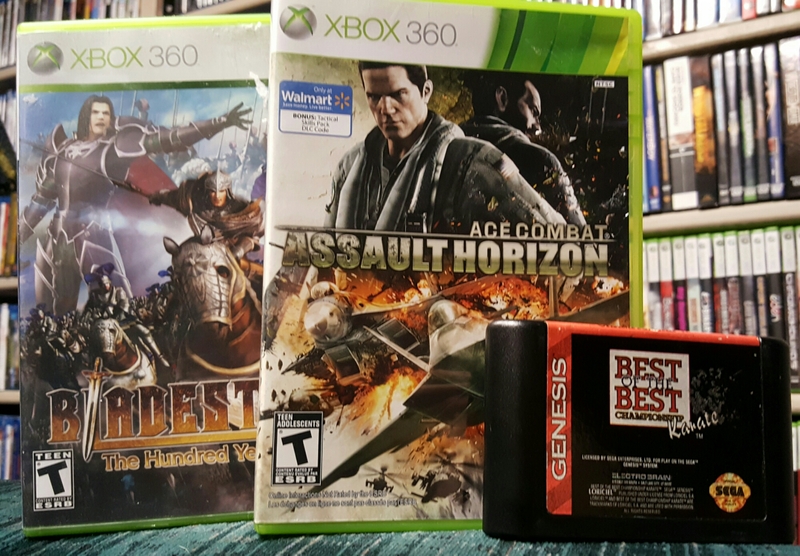 Not bad for a random visit to a random game store when I was out of town for a day. It always helps to Google “game stores near me” if you’re somewhere new! One of my best finds of 2017. 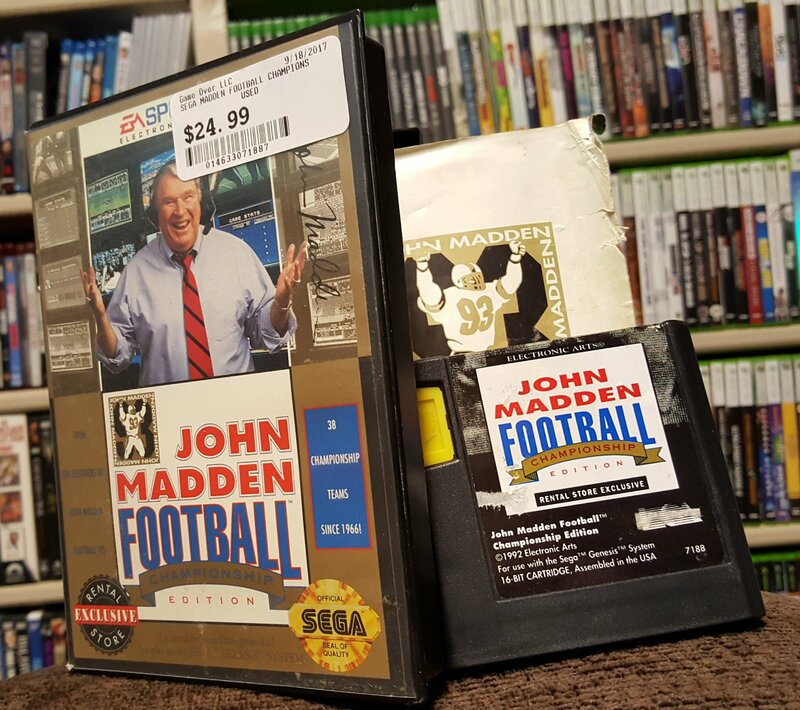 Not any Madden, but Championship Edition. 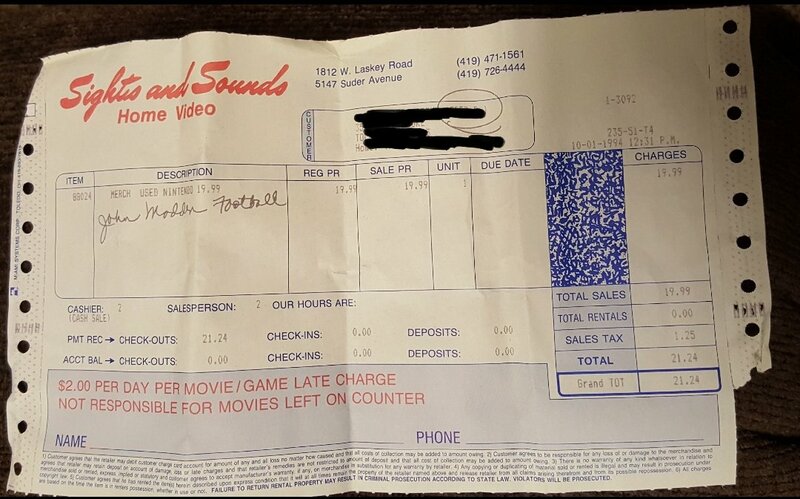 This was only available to rental stores in 1992 in small numbers. The manual – although separated from the staples – is exceedingly hard to find. The local game store selling this didn’t know what they had, and it was 20% off the marked price, making it $19.99. That’s ironic since the orignal sales reciept was inside. What did they pay back then? $19.99. 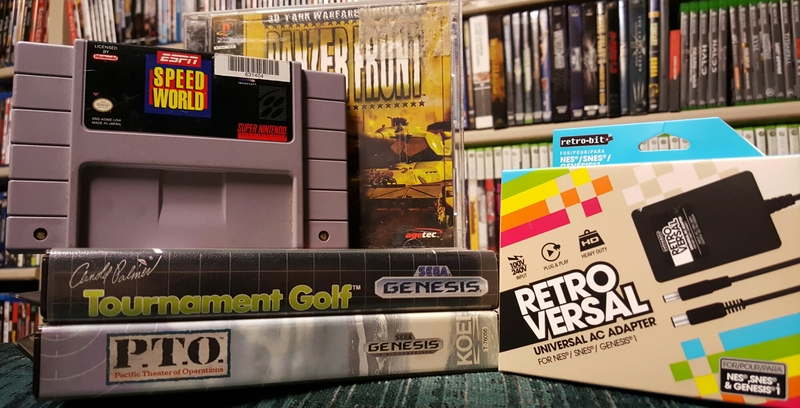 Oh, you’re having a 25% off all retro games sale, are you? I’ll gladly take advantage of that and spend around $12 for this lot (also involved were some movies not pictured making the total less precise). Nothing special, but it fills some holes on a variety of platforms. ￼ Post-birthday gift card splurge. Total cost? $2.50 after the card. 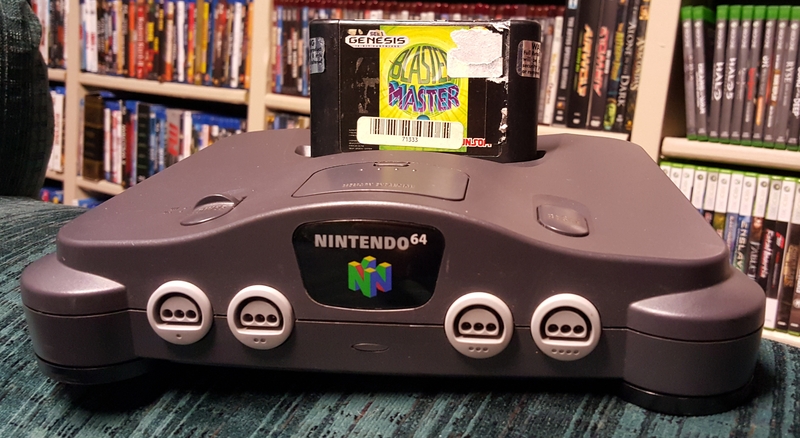 Needed a N64 as mine is suffering from a bad video port and Blaster Master 2 was on the want list for a good while. Nice to cross that one out. $6 at a flea market. Not the best but Ace Combat can be erased from my want list. Been meaning to replay it for a while. Also, what’s a key ingredient to a great flea market? 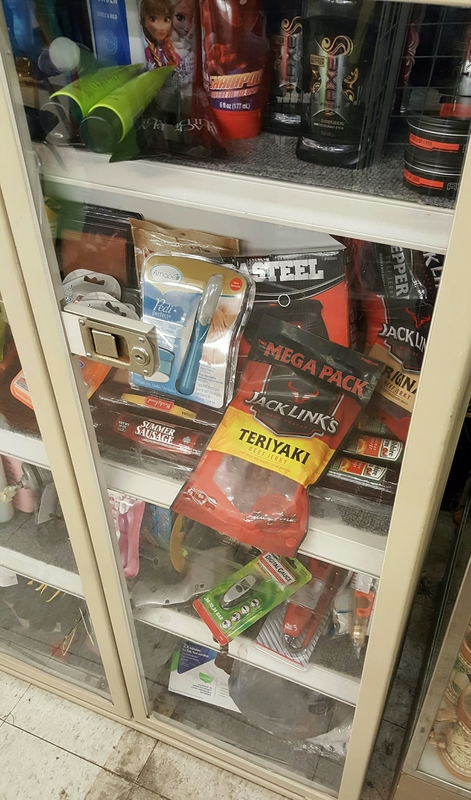 Expired beef jerky and sausage shoved into a cabinet with Axe deodorant. Such things can get no better. Changing up the view a little for this small $11 find at a local game store. 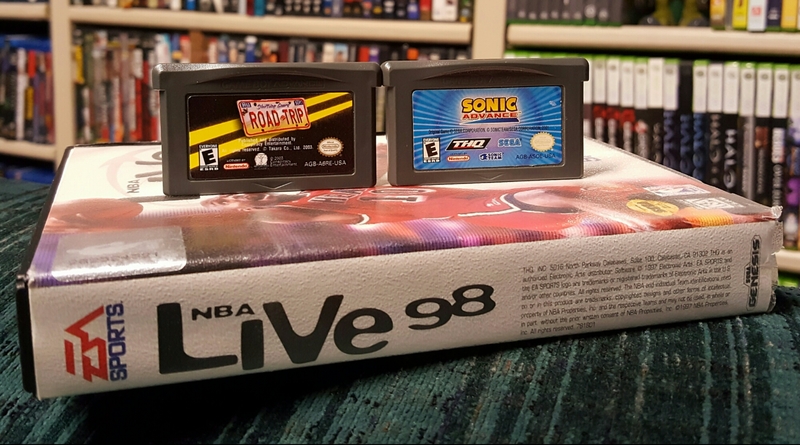 The Genesis NBA Live ’98 can be scratched from the wish list, although the SNES version remains.